Bermuda’s vibrant local music scene can be traced back to the growth of the tourism industry on the island. Back in the 1940s and 50s, you were hard pressed to find a hotel without a bandstand. Dancehalls and theatres were strewn across the island, while calypso, jazz and big bands were a staple of hotel entertainment. It was in these settings that local legends such as Hubert Smith Jr and Sr, Lance Hayward, Tootsie Bean, the Talbot Brothers and Ghandi Burgess (to name only a few!) made a name for themselves. 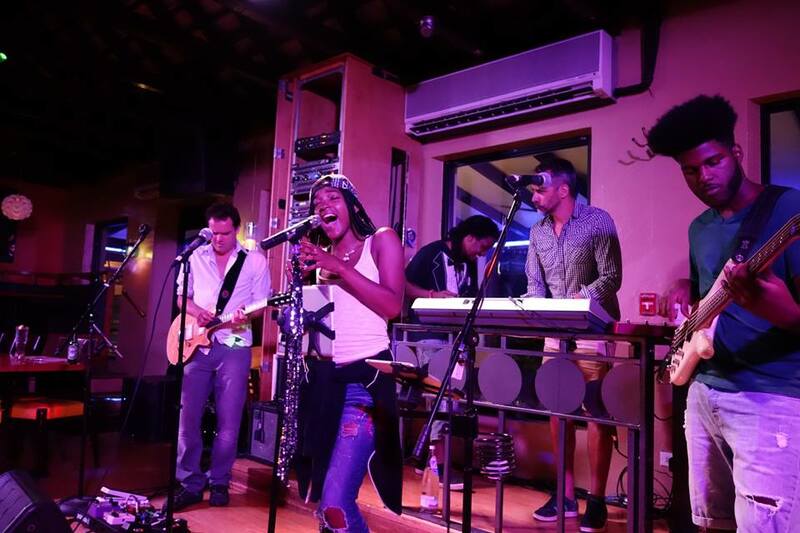 While the live entertainment scene is not as widespread as it once was, there are still plenty of places to enjoy the diverse local talent the island has to offer – and best of all, no cover charges! It’s safe to say that not only is performance culture still strong in Bermuda, it’s making a comeback. The Fairmont Southampton is your first stop for nostalgic hotel entertainment and up-and-coming contemporary fare. Where to begin? On any given night at the Jasmine Lounge you could find the local jazz band Exclusive, the keyboard stylings of Andrew Chamberlain or the pop and rock offerings of the Kennel Boys. For some al fresco sunset song and dance, look no further than the Dock at Waterlot. 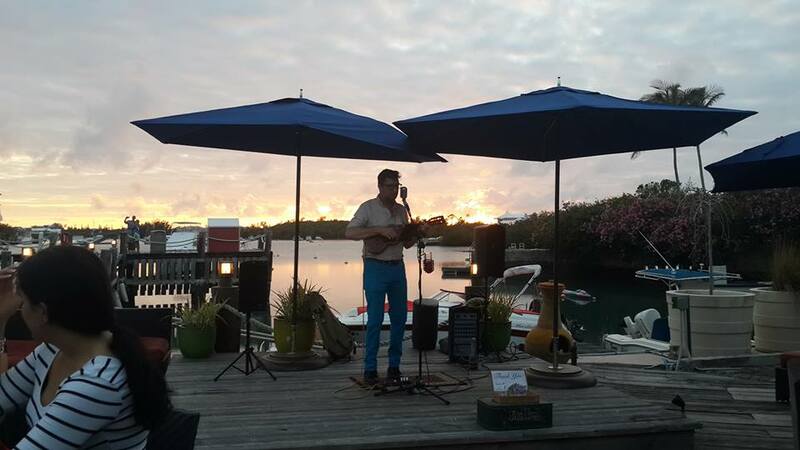 Five days a week you’ll find Mike Hind (aka Uncle Elvis) and his ukulele, whose funny and irreverent performances of contemporary and original songs are always a hit. The Big Chill on Wednesdays and Saturdays delivers relaxing, chilled out beats coupled with the soulful vocals of newcomer Kassie Caines – pair that with a Bermuda sunset and what more could you want? This Front Street bar has more to offer than your typical late night haunt. 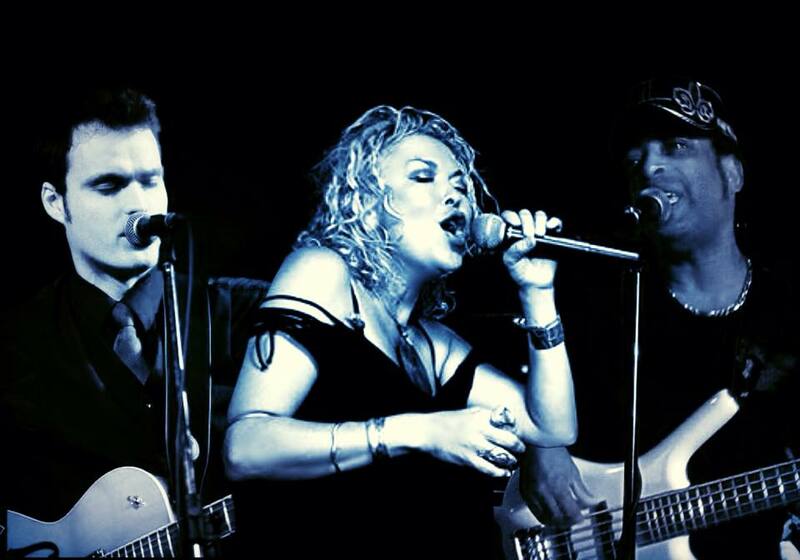 Tuesday to Saturday at the Pickled Onion from 10pm you can catch covers of top 40 and classic pop hits by Graffiti Park. Suzi Stephenson, Kojo Ferguson and Ben Payne keep the party going til the wee hours of the morn. Don’t miss the ‘Pickled Onion Jam’ on Tuesdays – this open mic night attracts flocks of local and visiting talent who get to hop up on stage and jam out with Graffiti Park. Black has been playing at the Hog Penny in Bermuda for a decade now, and in that time has amassed a loyal fan base. He brings both the rock and the roll to Bermuda’s music scene – if you’re lucky, you might get invited up on stage! Catch him from 10pm Wednesday to Saturday. On the third Thursday of every month head to the Bermuda Musical and Dramatic Society (BMDS) for an open mic night with theatrical flair. Cheap drinks, good music and a jovial atmosphere make for a guaranteed good time. Guests are welcome, just walk in and a member will sign you in. Chewstick isn’t just a charity, it’s a movement. Describing themselves as the ‘frontline of change’, Chew brings together people from all walks of life by creating a space where music, art and poetry deconstruct and demolish social barriers. Once their new Front Street location (affectionately nicknamed ‘Newstick’, geddit?!) is ready, catch the open mic night on Sundays. Thursday, 10th September 2015, 04:05pm.